Mckee Point - Easy access to Charlotte Airport, Uptown Charlotte and Shopping. MLS#3437835. Keller Williams Fort Mill. Knightsbridge - Very Convenient To Lake Wylie, Charlotte Douglas International Airport And Mcdowell Park. MLS#3437258. Joyce Presley Realty, LLC. Known for our energy saving features, our homes help you live a healthier and quieter lifestyle while saving you thousands of dollars on utility bills. MLS#3436908. Meritage Homes of the Carolina. Known for our energy saving features, our homes help you live a healthier and quieter lifestyle while saving thousands of dollars on utility bills. MLS#3436913. Meritage Homes of the Carolina. Please ask the on site agent about the additional incentive. MLS#3436693. Pulte Home Corporation. Everything's included in this home with White cabinets and Luxury Vinyl plank flooring,stainless appliances,gas range,huge deck! Move in quickly MLS#3436665. Lennar Sales Corp. NOTE: Sale does NOT include furnishing. By appointment only. MLS#3416091. Pulte Home Corporation. Mckee Point - If you are looking for separate living quarters, you must see the detached pool house that's already complete with full kitchen, bath with walk-in shower, and open second floor - MUST SEE! MLS#3429263. Costello Real Estate and Investments. The Luna plan also includes a study, two additional bedrooms with connecting full bath, a graciously sized gathering room and a wonderful covered porch. MLS#3430026. Fielding Homes LLC. Springfield - The bonus room offers guests the option to play pool, watch a movie in the theater room, or enjoy a round of cards. MLS#3422818. Premier Sotheby's International Realty. This home also features a finished basement with a large bonus room and full bath. MLS#3428403. Fielding Homes LLC. This One Will Not Last! MOTIVATED SELLERS! MLS#3428302. Wilkinson ERA Real Estate. Please check out the information on the Fort Mill Golf Course that is located across from this home. https://www.playfortmill.com/memberships/ MLS#3426691. Berkshire Hathaway HomeServices Carolinas Realty. Baxter Village is home to the Fort Mill Library, restaurants, shopping, fitness options and more... truly a live, work, play concept! MLS#3421880. Keller Williams Fort Mill. Centrally located in Village E. Open floor plan. MLS#3423057. Wilkinson ERA Real Estate. Ask about our $20k discount if you use Pulte Mortgage. MLS#3421076. Pulte Home Corporation. Breakfast room flows to the rear porch, and the Family Room has a gas fireplace. MLS#3383673. Shea Realty. Known for our energy saving features, our homes help you live a healthier and quieter lifestyle while saving you thousands of dollars on utility bills. MLS#3417184. Meritage Homes of the Carolina. Green Giant cypress trees have been planted at the back of the property line. MLS#3399856. Shea Realty. The Meadow - N'Hood Backs to Fort Mill Golf Course and is very convenient to Dowtown Fort Mill, Golf Course, Greenway, and services. MLS#3415278. Allen Tate Ballantyne. Community offers a two-story clubhouse, Olympic sized pool with lazy river, water slides and splash park! MLS#3412855. Essex Homes Southeast NC Inc.
Community offers a two-story clubhouse, Olympic sized pool with lazy river, water slides and splash park! MLS#3412805. 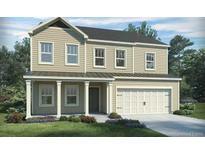 Essex Homes Southeast NC Inc.
Massey - Community features huge clubhouse and pool with relaxing lazy river. Estimated delivery March 2019. MLS#3410294. NVR Homes, Inc./Ryan Homes.